Emily Westergard ’12 knew she wanted to enter the medical profession following Colorado College. Her three years as a student trainer with CC Sports Medicine left the now fourth-year medical student with no doubt. While not formally connected, the two-year-old human biology and kinesiology minor and other pre-med, pre-physical therapy, or pre-physician assistant coursework at CC complement the hands-on lessons learned by the 32 student trainers, says head athletic trainer Thomas Monagan. Becoming a student trainer involves a lengthy application process, including interviews — held during the spring for the upcoming academic year — along with the necessary completed coursework. It was much the same for Westergard. Serving as a trainer exposed her to a multitude of injuries ranging in severity, along with treatment plans for long-term injuries that allow athletes to continue competing, she says. “The injuries and illnesses I was exposed to, along with the teaching provided by our excellent Sports Medicine staff, helped make these presentations and diagnoses stick with me,” she says. To this day I can still recall specific athletes’ injuries and stories; this has helped me many times in diagnosing patients I now see in clinic. 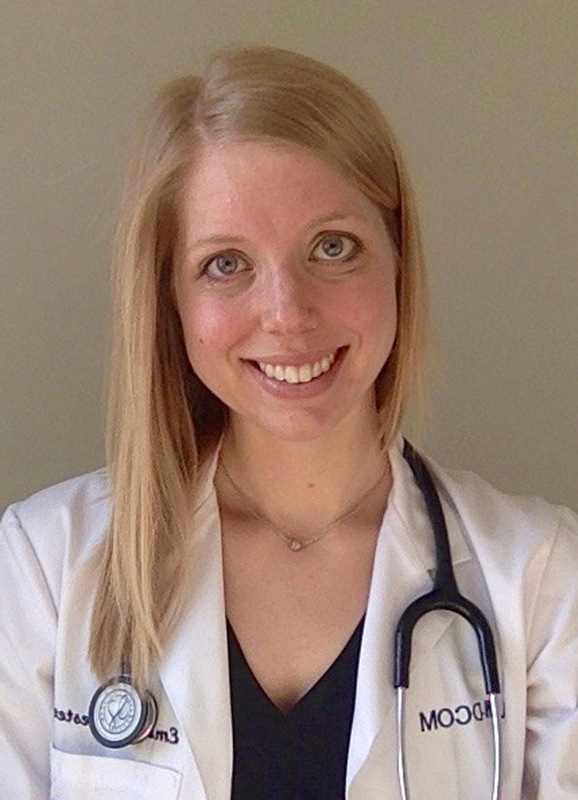 “All these things prepared me well for the expectations and hard work that medical school requires, and continue to benefit me as I now prepare for residency this summer,” adds Westergard, who graduated with a biology degree. The combination of classwork and hands-on experience also helps those who do not go directly into medical school, like Hannah Quick ’17, co-winner of the 2017 Mahony Award. The Mahony Award is presented to a CC senior who works for Sports Medicine while studying in the pre-med, pre-physical therapy, or pre-physician assistant programs and achieving a minimum 3.25 grade point average. Quick plans to enter medical school in 2019. Her interest in sports medicine was sparked by a high school athletics career that also led to 13 right ankle sprains, and the necessary surgery that followed to tighten the ligament, which greatly improved her quality of life. Stopforth also has an increased appreciation for the value of athletic trainers after four seasons as a CC athlete. He has learned training requires far more than taping ankles. For Quick, working as a student trainer for two-and-a-half years allowed her to stay involved in sports while preparing for her career under the supervision of certified athletic trainers. She thrived in that environment. 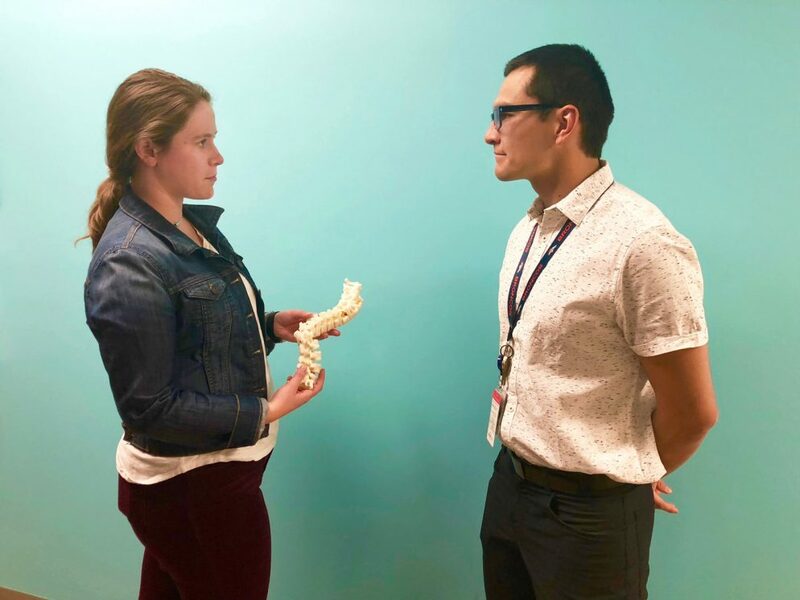 That experience with patients is invaluable in her current role as a clinical research assistant in the Children’s Hospital Colorado Spine Program in Aurora. CC’s challenging coursework and academic opportunities here and abroad also proved beneficial. Quick’s final course at CC visited various Scandinavian institutions including the prestigious Karolinska Institutet in Stockholm, Sweden, and the Institute of Sports Medicine Copenhagen in Denmark. CC’s anatomy lab gave Westergard a leg up on her fellow medical students, many of whom entered the Lincoln Memorial University-DeBusk College of Osteopathic Medicine in Tennessee with no prior experience dissecting cadavers, says the former CC anatomy teaching assistant and hockey neuropsychology intern. “Many people are amazed when I say that medical school has been easier for me than my undergraduate training, but it is true!” Westergard says. 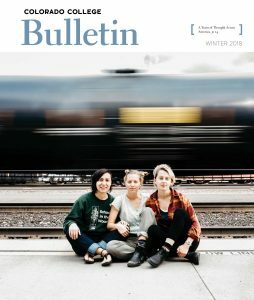 “The Block Plan accompanied by my student training experience was the perfect method to prepare me for learning high volumes of information in a very short amount of time while keeping a balance between school and normal life.